If you are a lover of golf and you are headed to the beaches of the Central West Coast of Florida, you are in luck. 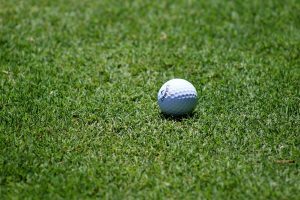 Not only do the beaches from St Pete up through Clearwater rank among the best in the country year after year, they also have lots of golf courses nearby. Leaving your favorite past time behind for a beach vacation isn’t necessary. You can have both! It should come as no surprise to find that one of the most popular counties in Florida has a lot of golf courses. Almost 20 public courses spread across the county from north to south. The drive between one to the next anywhere you choose in the area is less than five miles. The only area in the county without its fair share is the metropolitan area of St Petersburg, the most developed part of the county. Otherwise, Pinellas County has plenty of open green space. Parks command an astounding amount of land in the county but nearby you will always find a golf course. Thanks to the large number of clubs to choose from, you will wait less often. Healthy Florida rains make sure the greens are always green and you are pretty much guaranteed to have some water obstacles. During the summer, it’s a good idea to make tee time early enough to avoid any impending afternoon storms. Lightning is common in the region and so clearing out before heavy rainfall is recommended. As always, you are going to be able to rent some clubs, which may be preferable if you are flying in and out of town. 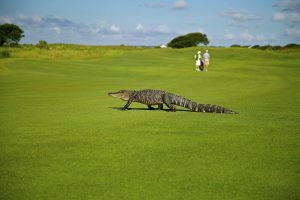 While the courses are fantastic for locals too, coming from out of state to golf on Florida courses can be a thrill. Lining up your shot to fly between clusters of palm trees might be one to mark off your bucket list. 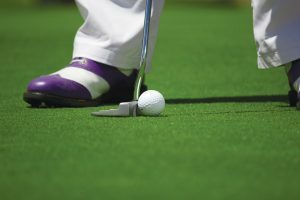 With the ease of transportation in the region, a morning outing to drive some balls in one of America’s playgrounds might just make your vacation that much more memorable.